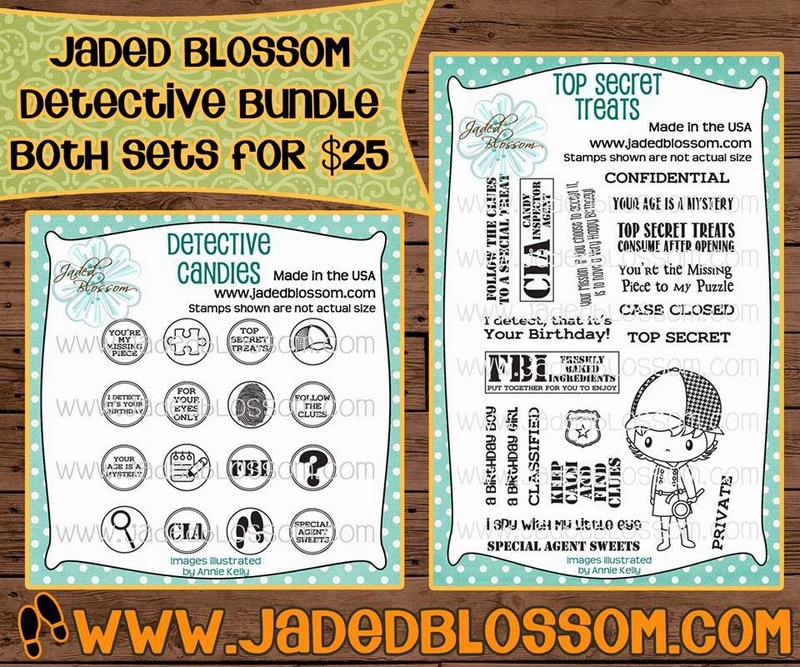 Jaded Blossom: TOP SECRET Detective Blog Hop! Hi Everyone! And WELCOME to the Top Secret Detective Blog Hop! We are doing this a tad different this time. There is also a prize given away on each stop of the hop! So make sure to COMMENT and follow along to be entered to win all the prizes! BONUS! There is also a "Secret Phrase" Complete the phrase and follow the instructions of the phrase! You must go in order on the map so your Phrase is in the correct order. Here is the start of your Phrase "For a"
Click here to go to the map which will point you to your next destination, Michelle! What a fun game!! Love the detective bundle! I am a HUGE mystery buff, this is super fun! On my gosh this sounds like fun. I love a good mystery. Count me in. Off I go. This is such a great idea! I do love puzzles and mysteries. This looks like a fun project. I can't wait to see what everyone creates. Love how this mystery will be unveiled!!! Hop hop hop now. Love a mystery.....Sherlock Holmes is my latest obsession!! Ha. I am a brand-new follower of yours by Google Friend (J. Woolbright) and by BlogLovin' (janis8). What fun. Love the new stamps. This was so much fun!!!!!! You gals are the best!!!!!!! Adorable! Love the stamp set! Very cute sets. Love the phrases. OMG!! Can't wait to get these!!! This is fun!!! I love solving mysteries!!! LOL!!! I love the stamp sets. Ordering in my set now. I'm new to this but it sounds like it's gonna be fun. Such a cute set and I am loving the concept of this hop. Always keeping it fun! 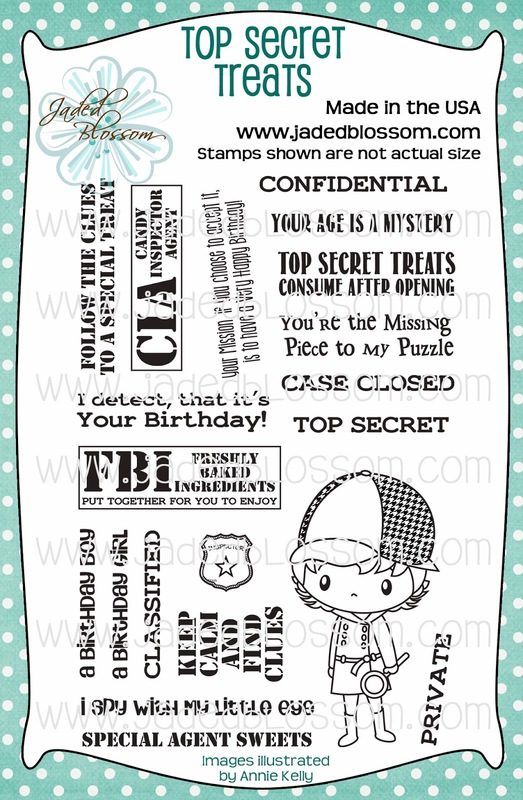 This set would be perfect to make invites for a murder mystery party!!! Adorable!! This is my first hop and looking forward to a good mystery! Love these hops! This is SUCH an adorable idea! Such cute sets. Love the sentiments. Cute idea. Fun stamps sets good for kids scavanger hunts. Can't wait to get my stamps!! So cute! Great to use for kids parties (and I've got plenty of grands!). TFS! This is a fun hop! What a great twist for a blog hop! super cute!! my daughter loves Sherlock! what a wonderful way to spend a snowed in/iced in day! Cute set and how fun to make a game of it? I'm hopping along now. Hop Hop Hop! I think that this is a GREAT way to encourage purchases! Thank you! super cute. I cant wait to keep seeing all the great projects that you ladies came up with. And here we go! Another great idea a fun times. Can't wait to see the projects. This looks like fun! Thank you for the blog hop. How fun, I love detective games. Great idea and something new..don't know how your brain comes up with so many new things! I'm excited to start! Can't wait to see what the hop brings! Love this kind of "hop"
This is a really cool hop!!! Really cute stamp sets ... off to hop! This is a cute idea for a hop. Thank you. I'm excited, lets start the hop. Super adorable ladies!!! Excited to hop! Fabulous hop yet again!!! Thanks for an awesome time!! Cute stamp sets and fun hop. Great start! Looking forward to the hop! What a fun way to do a blog hop. I sure do like this set. Going to tell hubby I gotta' have it! Love this blog hop, its so much fun! This is such a fun blog hop!! Adorable new stamps!!! Such a fun way to do a hop!!! Can't wait to see what everyone created!!! What a fun blog hop, great stamps! super cute stamps! can't wait to hop! This is the best hop EVER! LOVE it!! Great way to blog hop . . . very creative. Thanks for the chance to win! This is SUCH a fun idea for a blog hop! Great new stamp sets too! This is going to be fun! Can't wait to see what you have in store for us. Thanks for a great hop! This is a fun way to do a blog hop. Looking forward to the rest of it. This is an awesome way for me to end my day! Looks like fun! I can't wait to give it a try. Looking forward to seeing all of the great projects. So excited...let's get this show on the road! These are just too cute!! So happy to have mine! This is such a great idea...I love a mystery. The stamps are adorable. Thanks for the fun hop. Looking forward to seeing all of the great projects! I love the stamp bundle. What a fun way of doing a hop! This sounds like such a fun hop! New sets are so awesome! So excited for this hop! How fun! I am thrilled to be introduced to another FANTASTIC stamp line. 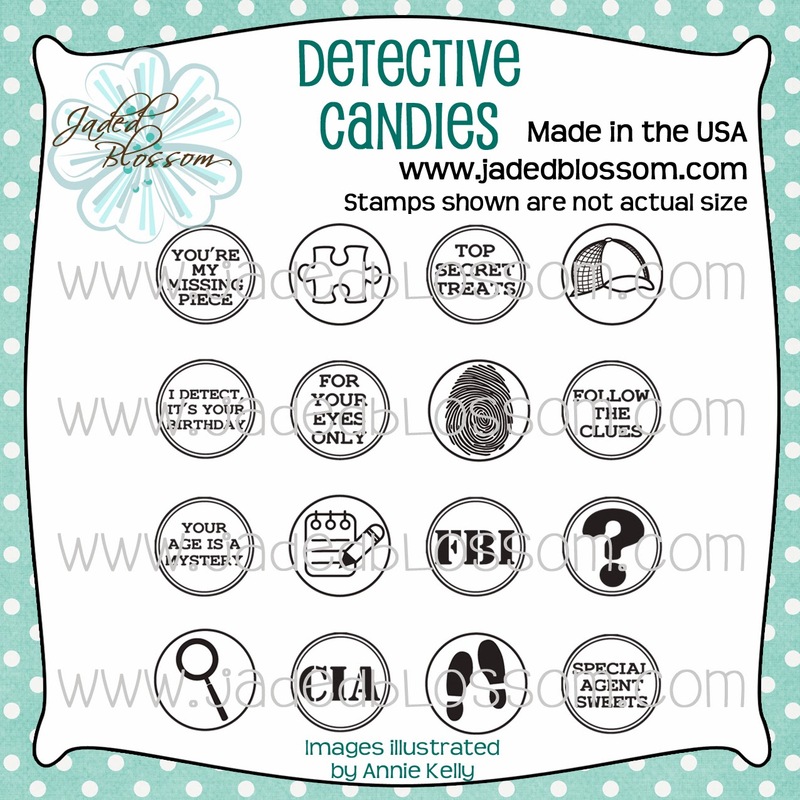 Love the Detective stamps.